Theatres Buy Tickets Press Kit Wiki - "Battle of Red Cliffs"
"'Red Cliff' is a legendary filmmaker's visual symphony." "The spectacular battle scenes are the engorged heart of the delirious adventure. But Woo also gets maximum romantic value from Tony Leung as a war hero married to Chiling Lin as the tea-pouring beauty." "WATCHING 'RED CLIFF' FEELS LIKE BEING IN THE PRESENCE OF GODS WHO HAVE MOMENTARILY DEIGNED TO WALK UPON THE EARTH. A grand, old-fashioned spectacle. It exudes a physical grandiosity that few movies of the past 20 years have attempted." 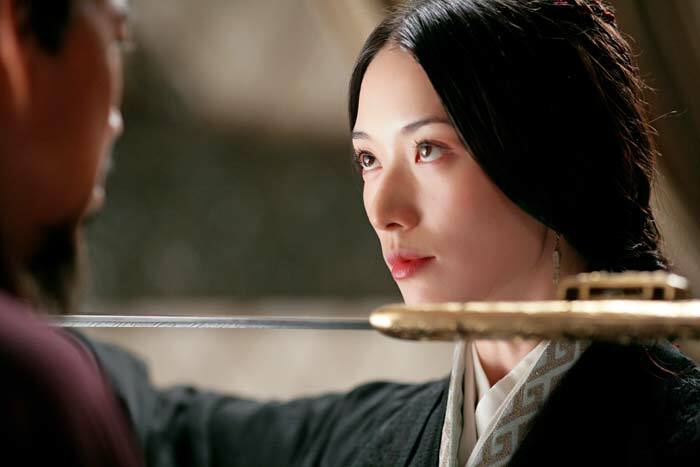 "'Red Cliff' is one of those movies that begs to be experienced. It is poetry in martial motion that brilliantly gives huge battles a human scale. YOU CAN'T WATCH A FRAME OF IT WITHOUT FEELING THAT IT HAS BEEN GENERATIONS SINCE HOLLYWOOD TACKLED ANYTHING ON THIS SCALE." "AN ACTION-PACKED EPIC SO LARGE IN SCALE THAT IT MAKES 'BRAVEHEART' SEEM UNAMBITIOUS." "A SCRUMPTIOUS WAR MOVIE with a cast of thousands of warriors, horses, spears and flaming projectiles." "GREAT FUN. THE SCALE IS HUGE. All 148 minutes are very enjoyable." "Breathtaking! Woo stages heart-stopping action and battle scenes on a scale that defies description." "THRILLING FILMMAKING! 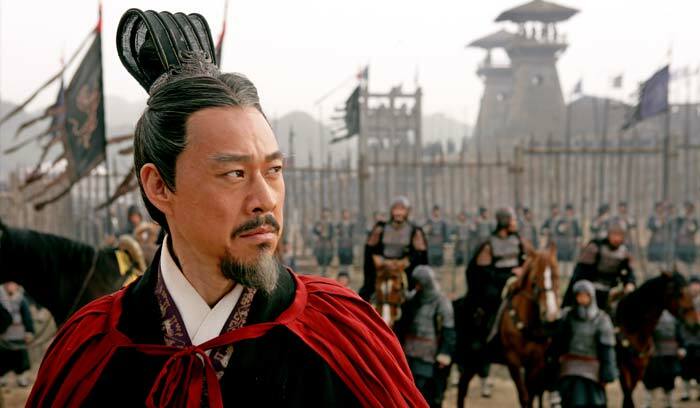 Red Cliff blazes across the screen with a sweep that most movies can only dream of." "THE BEST THING JOHN WOO HAS MADE IN YEARS." 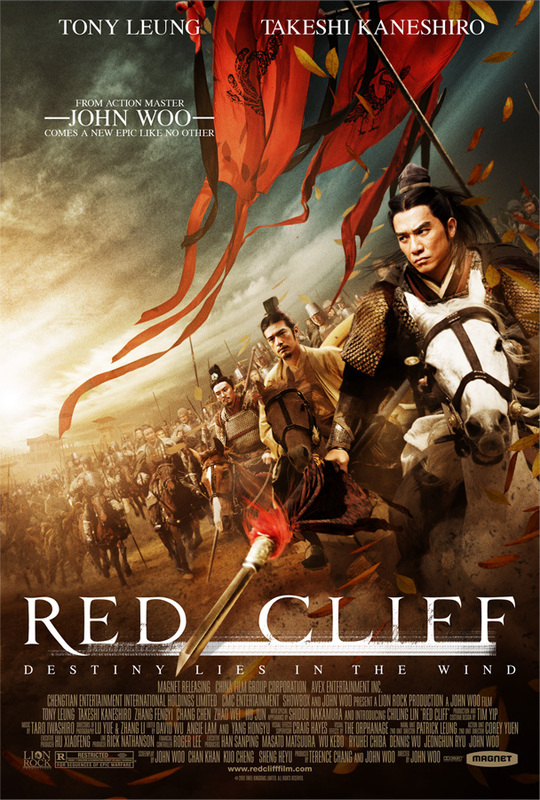 "'RED CLIFF' SCALES THE HEIGHTS. It balances character, grit, spectacle and visceral action in a meaty, dramatically satisfying pie that delivers on the hype." Legendary action-cinema master John Woo and international superstar Tony Leung reunite for the first time since the 1992 classic HARD BOILED in RED CLIFF, the epic historical drama based on a legendary 208 A.D. battle that heralded the end of the Han Dynasty. 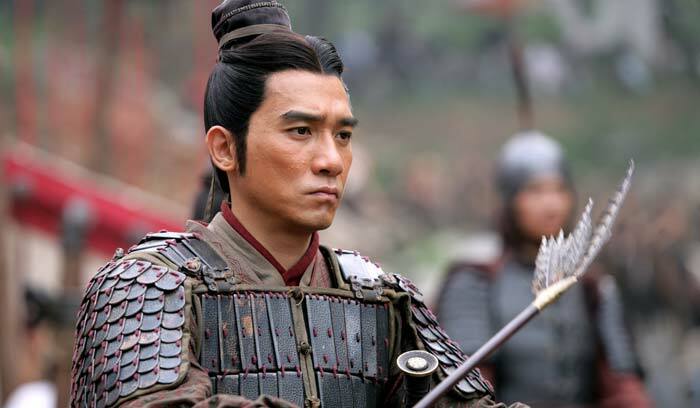 RED CLIFF opens as power hungry Prime Minister-turned-General Cao Cao (Zhang Fengyi) seeks permission from the Han dynasty Emperor to organize a southward-bound mission designed to crush the two troublesome warlords who stand in his way, Liu Bei (You Yong) and Sun Quan (Chang Chen). 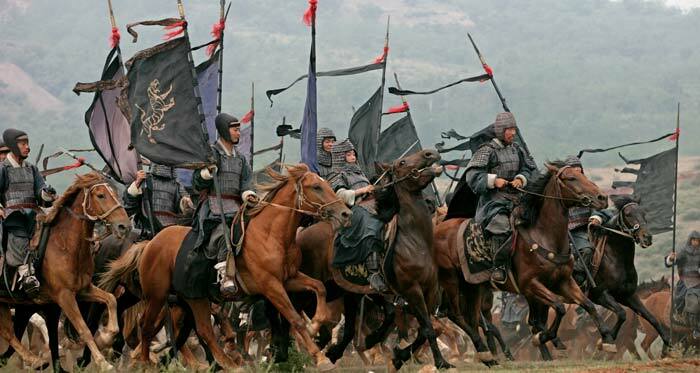 As the expedition gets underway, Cao Cao's troops rain destruction on Liu Bei's army, forcing him into retreat. 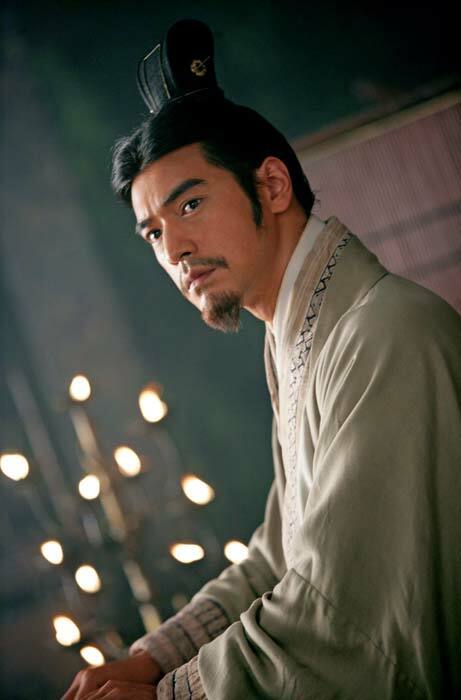 Liu Bei's military strategist Zhuge Liang (Takeshi Kaneshiro) knows that the rebels' only hope for survival is to form an alliance with rival warlord Sun Quan, and reaches out to Sun Quan's trusted advisor, war hero Zhou Yu (Tony Leung). Vastly outnumbered by Cao Cao's brutal, fast-approaching army, the warlords band together to mount a heroic campaign – unrivaled in history – that changes the face of China forever. 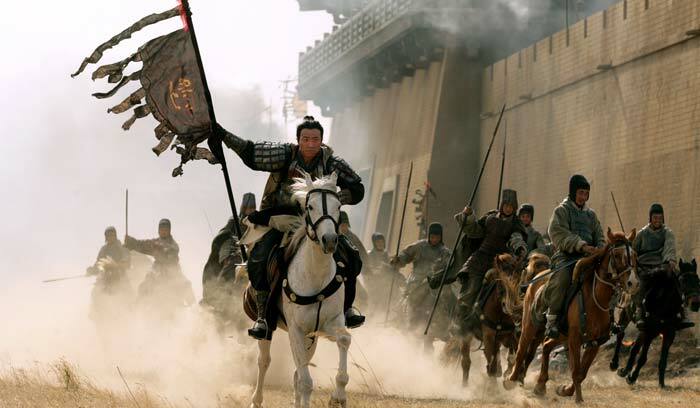 A massive hit in Asia and the most expensive Asian film production of all time, RED CLIFF is a breathtaking war epic that marks the triumphant return of John Woo. RED CLIFF is the third film in Magnet Releasing's "Six Shooter Film Series V2," a series of six films focusing specifically on action cinema, featuring some of the most exciting action films available today from around the globe. RED CLIFF will be preceded by ONG BAK 2: THE BEGINNING and BRONSON, with three other films to follow over the coming months including DISTRICT 13: ULTIMATUM and THE WARLORDS.